My Reading List for the Holiday Season! Last week I ordered several new books that I’d like to read over the holiday season. 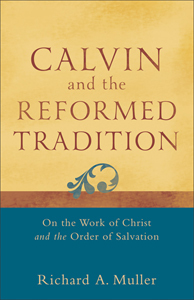 Richard Muller, a world-class scholar of the Reformation era, examines the relationship of Calvin’s theology to the Reformed tradition, indicating Calvin’s place in the tradition as one of several significant second-generational formulators in the book Calvin and the Reformed Tradition. Muller argues that the Reformed tradition is a diverse and variegated movement not suitably described either as founded solely on the thought of John Calvin or as a reaction to or deviation from Calvin, thereby setting aside the old “Calvin and the Calvinists” approach in favor of a more integral and representative perspective. Muller offers historical corrective and nuance on topics of current interest in Reformed theology, such as limited atonement/universalism, union with Christ, and the order of salvation. 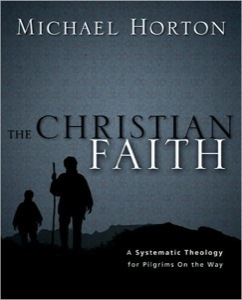 Features of this volume include: (1) a brief synopsis of biblical passages that inform a particular doctrine; (2) surveys of past and current theologies with contemporary emphasis on exegetical, philosophical, practical, and theological questions; (3) substantial interaction with various Christian movements within the Protestant, Catholic, and Orthodoxy traditions, as well as the hermeneutical issues raised by postmodernity; and (4) charts, sidebars, questions for discussion, and an extensive bibliography, divided into different entry levels and topics. We think that we know the first three chapters of the Bible well ” Creation and the Fall, we say, knowingly. But have we ever stopped to consider that Jesus in the book of Revelation is called “the last Adam” and the “Alpha & Omega—? 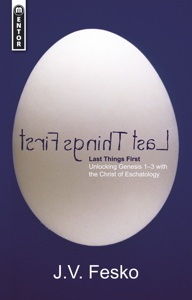 Should this make a difference to how we look at the first three chapters of Genesis? In Last Things First, Dr. John Fesko says that it does and that without seeing Christ and the end days, we cannot understand the first days. By doing this, he is able to explain this important portion of scripture from a holistic Christological viewpoint, one that is consistent throughout scripture. If you are tangled up on origins in Genesis then this may be your way through the maze. 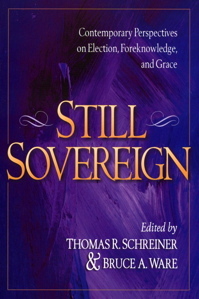 The relationship between divine sovereignty and the human will is a topic of perennial theological dispute and one that is gaining increased attention among contemporary evangelicals. Contributors include Thomas Schreiner, D.A. Carson, J. I. Packer, John Piper, Wayne Grudem, Sam Storms, Jerry Bridges, Ed Clowney and others.